Oh that’s lovely. It’s all poetic and graceful and stuff. Beautiful piece. 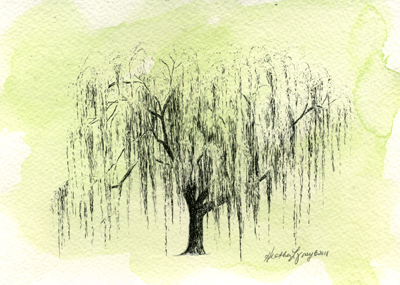 I’ve always had a soft spot for willows…this one hit home! I know you love your oaks but maybe you should ‘branch out’ (terrible pun intended) because this is REALLY gorgeous, too!